Jesus concluded, "Listen, then, if you have ears!" The story that Jesus tells about the sower and the seed is one of the well-known parables of the New Testament. Through this story Jesus tells us of the importance not only of preaching the Word of God but also of hearing it. In fact, so important is this message of the parable that it is one of the few where Jesus himself provides the meaning of his parable. Remember Jesus doesn't tell stories for the sake of their beauty or to answer his hearers’ questions. His stories always had a deeper meaning - a truth that would help his followers in understanding what God had to say to them. 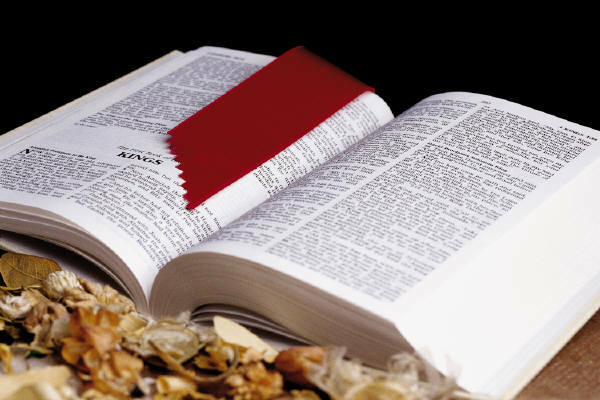 In this parable the seed is the Word of God and the different kinds of ground or soil that it falls on are different ways people receive this Word of God that they hear preached, read or study for themselves. The farmer did his best broadcasting the seed. The seed was good seed but the results varied, depending where the seed fell. some fell in good soil and grew and produced rich fruit. It all depended not only upon the sower and the seed, but on the reception the seed got. So the preaching and speaking of God's Word, and the hearing of it become one activity. Effective preaching is not my activity alone. I can do so much to prepare my sermons - effective preaching also involves effective hearing. And that's where you come in. The sower can throw seed out until he drops - but if the soil is really hard and full of weeds the crop from that seed will be small indeed. Likewise, the preacher can preach until he is exhausted, but if no one is tuned in to what he is saying then he is wasting his time. The Holy Spirit can be speaking to us in words that are plain and simple in the Scriptures as they are being read to us or as we read them ourselves in our devotional time, but if we are not tuned in with open ears and hearts and minds, those words cannot have any impact. In the first place, a good listener is open to the Word of God. As the minister prepares himself to preach the Word, so the listeners must prepare themselves to receive it. When the reader goes forward to read to us God's Word or the preacher is about to start, it happens that we can be so put off by the person who is reading and proclaiming God's Word. We may be sidetracked by the reader's tone and expression or tune out when the preacher goes longer then we think is necessary. Can I suggest rather than centring your thoughts on the ability of the particular reader or preacher, prepare yourself for the Word of God. What will God say to me today through the voice of my minister? What will God want me to get out of today’s Bible reading? What will God say to me today that will make a difference in my life? The Bible readings and the sermon are God's Word for you this day. It may be dressed in human words, human examples, and even human error, but nevertheless, it is God's Word for you. Listen to it as if God himself were speaking to you. You never know what life-changing words you may be missing if you tune out. A good listener recognises that the Word of God has authority. It is one thing for the man in the pulpit to make all kinds of promises - but unless you believe God's Word has authority to back up those promises the preacher might as well save his breath. When God speaks, things happen. The Word that you hear is the same Word that was said at the beginning of time. "Let there be". It is the same Word that gave the 10 Commandments to Moses on Mt Sinai. It is the same Word that stilled storms, healed the sick and raised the dead. It is the same Word that was called out from the cross, "It is finished", as Jesus completed his saving work for all people. It is a Word that is to be believed and trusted because it has the authority of the eternal God himself. This Word has two clear messages for all who dare to listen and take it to heart. Firstly, it says we are sinners. "All have sinned and fallen short of the glory of God." It is the purpose of God's Word to expose our sin, to point the finger directly at each one of us and show us up for what we are. God's Word penetrates and examines every area of our lives, our morality, our spiritual lives, our emotional lives, and exposes what the kind of people we are – sinners – people who live in direct disobedience to God's ways. As so as we read the Bible or hear a sermon, we can feel "got at", exposed, guilty. God is serious about sin. He wants each of us to turn away from our disobedient ways and to see that in Jesus there is forgiveness. With authority the Bible promises that those who believe in Jesus have freedom from all guilt and are forgiven through the cross of Christ. With the authority of God, as if God himself were speaking to us personally, the pastor proclaims that all of our sin is forgiven. Secondly, the Word of God declares with authority that the barrier of sin that stood between us and eternal life has been torn down. God's Word declares that we are changed from being enemies of God because of our sin to his dearly loved children. Daily God's Word reassures us that the promises of God are true and powerful. When we feel depressed about our sin, God reassures us that we are still loved by him and that in Jesus there is forgiveness. When we feel powerless in the face of overwhelming circumstances, God promises through his word that he grace is everlasting, that he is ready to uphold us and help us through our troubles. Maybe you have been in the position where all other avenues of help have deserted you, but there is yet one hope left. There is God who speaks to you through his Word, and that Word speaks powerfully and with authority as it has never before. It is a pity that we have to reach crisis point before many of us see the real power of God's Word in our lives. I have said good listening to God's Word involves being open to it, listening to it carefully and recognising that the Word has authority – it cuts deep and exposes sin - it heals with the blood of Jesus. And finally good listening means allowing the Word of God the widest possible application to our lives. Let the Word speak to you. Say to yourself as you hear the Word, "That means me". "God is speaking to me". It is a well-known fact that when God's Word becomes a little too demanding, or touches a raw nerve of sin, we put up our defences. We switch off, start making excuses for our behaviour, or start to apply the message to someone whom we hope is really paying attention to what is being said. And so the Word isn't able to establish any roots in us at all. Our hearing is faulty. What God has to say to us is either watered down by our own special interpretation of what is being said to us or it is passed off as irrelevant and having no meaning for our lives. This could well be happening to God's Word this morning. It doesn't matter whether you hear the Word of God here in worship, in a Bible study, a devotion, or wherever, there comes a point when you must say, "What is God saying to me through this text?" To listen to God's Word and absorb it only as an interesting piece of biblical knowledge hardly acknowledges the authority of God's Word to change lives. When God's Word speaks, things change. When we hear God's Word speaking as a message from God to us we cannot do anything but be affected by its message and make changes in our lives that will bring glory to God. I'm not saying that this application of God's Word in our lives is an easy thing. Martin Luther says, "I believe that by myself I cannot believe" . Satan is always about. Our own sinful nature, the influences of the world about us lead us away from hearing what God has to say to us. We need to be aware of the forces against us that want us to regard God's Word as irrelevant or too boring or to believe that there we don’t need to listen because we don’t need to change. Paul knew this when he wrote to the Romans (8:1-9). It is easy to conform to the standards and ways of living that are acceptable to the rest of the community but are against God's ways. Continually, daily, we need to reapply God's Word to the ways of living we have adopted, and seek God's forgiveness for those times where we have so easily adopted the world's standards. During our life here on this earth, there is never an end to listening to God's Word and reapplying it our to lives. It doesn't matter what age we are, listening and applying is a vital part of our Christian life. Perhaps you have been thinking as I have been talking that you haven't been too regular in keeping in touch with God through his Word, that you find making up your mind to read his Word hard enough, let alone actually finding the time in your busy daily routines to sit a while with his Word either alone or with the family and hear what he has to say. and pray for God's help to guide you in your reading and in your applying of his Word. The Word of God is like a seed - it has miraculous power within it - the power of the Spirit of God, and given the right soil it will bear fruit. This fruit is soon noticeable in the person who is drawn closer to Jesus through the Word of God. be open to hear it. and finally apply that Word to our lives. In this way the Lord will lead and guide you into his truth, so that you might know him as Creator, Saviour and Lord.